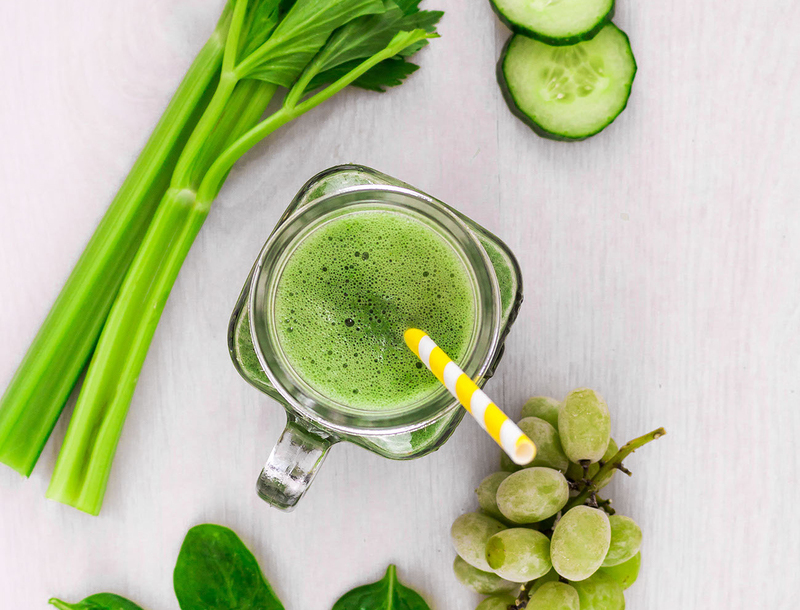 This fresh and tasty green smoothie is perfect for breakfast or for a mid-morning pick me up. Freezing some of the ingredients is a great tip. Not only does it help give the smoothie a thicker texture but also keeps it colder for longer. Supergreens adds a delicious sweetness and helps to pack in more fruit and veg! Simply place all of the ingredients into a blender with the frozen grapes closest to the blade and blitz until smooth. Pour into your favourite smoothie glass, pop in a straw and enjoy.